Garages are great storage spaces, and great places to never see something again! If your garage is anything like mine used to be, then you know that it desperately needs some organisation. 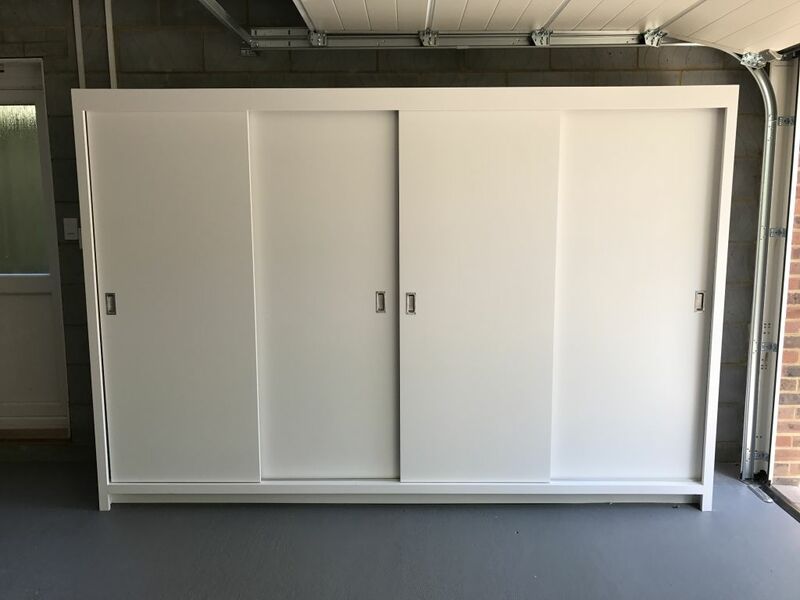 Of course, you can always buy shelves and boxes from DIY stores, but a Bespoke storage unit to your own specification is far more useful and can give you more space back. The image above is a Bespoke unit that was made to the clients specification for what they were wanting to store in it. It has shelves of varying spacing to allow for different size items. The sliding doors help to keep space to a minimum. If you like the idea of a Bespoke unit but struggle with design ideas, then worry not as between yourself and us we can design a unit that fits your needs exactly.